Born in this house, Aug 6, 1848, he was representative in Congress in 1870< and again for three terms in 1889. He had campaigned unsuccessfully against his brother in the gubernatorial race called "The War of the Roses". In 1886. 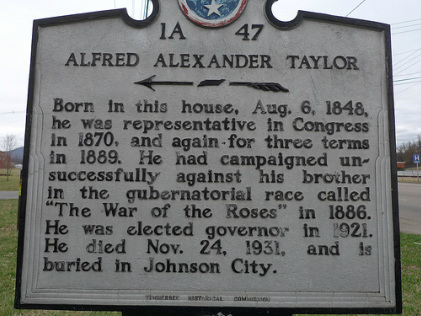 He was elected governor in 1920, He died Nov, 24, 1931, and is buried in Johnson City.